Facebook might be the largest social network in action today, but it isn't without its flaws. A lot of changes made by Facebook seem to cause problems for the users, especially the ones made in 2012. First, the Timeline, then the ticker and the ability of friends to add you to groups without permission. Then there's this problem regarding deactivated and deleted profiles in your friend list. Since the changes made, people started to notice old profiles (and new) that had been deactivated in their friends list. Now this isn't a problem, but it sure clutters up your list and inflates your number of friends. You can easily find and delete these profiles from your list and clear up things. So how do you know you have these "Ghost Profiles" in your account? Here is a simple test. Go to your profile, and note down the total number of 'friends' you have. This will show you the total number of people in your friend list, including those who have deleted or deactivated their profiles. This is where the problem is, because it should only display the number of active profiles. Hence, Facebook's metrics are flawed, so to speak. Now, go to https://www.facebook.com/me/friends, and (if possible), count the total number of profiles displayed there (This is where your school arithmetic lessons might come in useful :D). This number will most likely be lesser than the previous one. I, for one, have 361 friends in my list, but upon counting them, I came up with a count of 349, give or take a couple. Why does this happen? Suppose you had 100 friends, and Mr. X added you on Facebook. So your total count becomes 101. Sometime later, he decides he's better off without Facebook, so he deactivates his profile. Your count should get back to 100, but it doesn't. It'll be 101, with an added "Ghost Profile". You can easily remove the ghost profiles from your list manually. If you start searching on Facebook with a letter, Facebook will show you your friends that have that letter in their names. For examply, type in 'x' and you will see Mr. X there. You can recognize the de-activated profiles from the default silhouettes instead of profile pictures. You might also see silhouettes in your friend list. If those silhouettes are active profiles, then you will see a pop-up when hovering over them. Otherwise, they're just deactivated profiles that you can choose to delete. Click on them, and you'll get a message saying that the profile has been deactivated. There's an option to un-friend that profile. Go ahead if you want. Really this helping to all readers to removing their deactivated profiles. Really Nice Tut.This thing is occuring due to new Facebook spam policy. Thanks For Commenting and Leaving your Response on this Article. We All have our own views but if we see from a broad point of view everything will be just fine.Though, you are correct at your place that LABNOL First published a article that release "Deactivate Profiles From Facebook" but that doesn't means that anyone else cannot share or reexplain the Same thing. The trick would be tedious if you have some thousands of friends. Even if people have less friends, they most probably won't care because they have become too lazy to hover on each and remove :P Isn't there any automated way? Btw, where is Mohammad.. It's been a long time since I had a chat with him. Is he still busy in task of Greenwich University?? Seems Expectations are too high from MBT. My Premium Tricks: Free All Premium Accounts, Zbigz Premium Accounts, Premium Tricks, Hacks, Bots, And Much More!! Visit Now!! great info and useful information.These type of facebook profile are of no use. Please mark as spam and remove the last one asap. Great post! 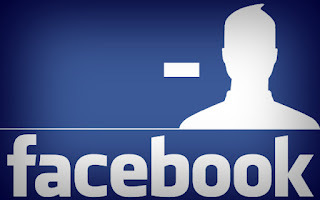 I've been wondering how to remove deactivated Facebook profiles. Thanks for the tip! You mean I am asking or your pointing others the real ones? ?